Since she was a child she really loved to follow her dad and become a dentist. After graduation on 2010, Dr. mehdian honed her skills and learned fine quality dental care through observation and working with top dental professionals including her Father who is a well known dentist in the fields of Cosmetic dentistry, Endodontics and Surgery. She has more than 8 years of experience in providing high-quality dental care in well-established practices where major concern has always been a high-standard patient care. Her practice philosophy is based on respect, mutual trust and and making difference in patients lives by creating beautiful healthy Smiles. general dentistry focuses primarily on the evaluation of your teeth and various dental treatments. A dentist specialising in cosmetic dentistry focuses on improving the overall look of your smile. Our skin is the first line of defense when it comes to overall health, keeping it healthy and moist helps keep the barrier strong. 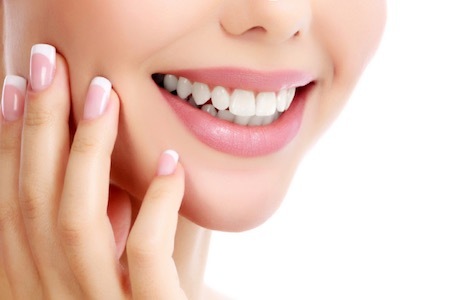 Preventive dentistry describes all the procedures used to maintain healthy teeth and prevent tooth decay and other diseases in the earliest stages. Full mouth reconstruction refers to rebuilding or even replacing all of the teeth in a patient’s mouth. Full mouth reconstructions combine looks with health by restoring the health, function, and beauty of the mouth. We understand that teeth and smile are one of the first things people see, it can help with confidence and self esteem. This is why we always take the time for our clients to get them the best smile. Our team of professional are dedicated to delivering a wide varity of dental services for your oral health needs. Visiting the dentist shouldn’t be stressful, this is why our facility and procedures were designed with your comfort and ease in mind. Everyone at Vancouver Dental Spa, from our front office staff to our hygienists and dentists, will make sure that your dental treatment is as effective, affordable, and pleasant as possible. Our clinic is located in Vancouver and has a beautiful view of the city for our patients to enjoy.